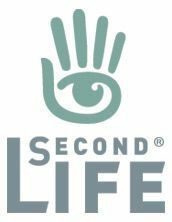 The Linden Lab press page has links to a couple of short articles reporting on the use of Second Life to create virtual environments to both enhance their patient managements skills and to assess how well they apply those skills. The research was carried out by the St. Marys Hospital Medical Faculty of Imperial College, London, and the results have just been published in the August edition of the Journal of the American College of Surgeons (the abstract is free, the full report costs $31.50, downloadable in PDF). Previous RL studies have shown that the management of patient complications following operations is an extremely important skill set for surgeons to master. However, obtaining the required skills has generally relied upon experience gained in dealing with real patients in the hospital ward, emergency room or intensive care unit, which has tended to make learning a little haphazard. 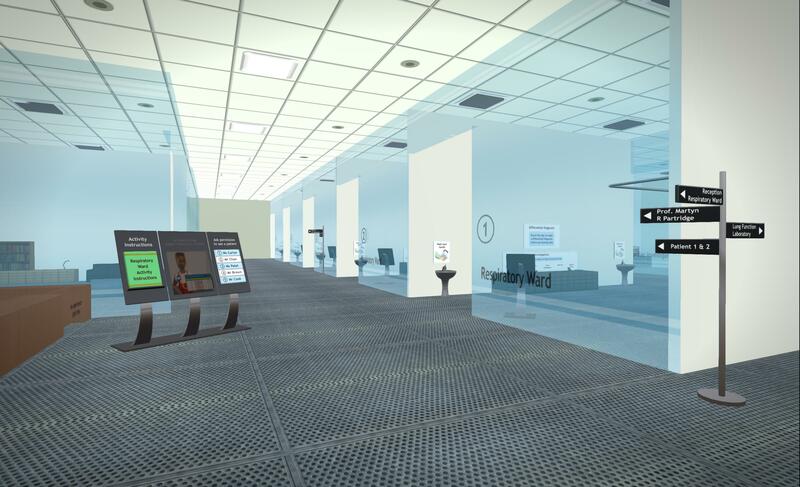 For the study, the research team created three environments within Second Life to simulate a hospital ward, an intensive care unit and an emergency room. Within each of these environments. modules were created for three common surgical scenarios: gastrointestinal bleeding, acute inflammation of the pancreas, and bowel obstruction. Surgical residents (interns, junior and senior residents) together with attending surgeons were then tasked with assessing and managing the virtual patients in each of the simulations. Tasks assigned to the surgical staff included recording patient history, carrying out physical examinations, diagnosis illnesses, interpreting lab test results using X-ray and CT scans and defining an appropriate treatment / management plan. In all, 63 surgeons participated in the simulations, with the performance of the experienced attending surgeons being used as a benchmark against which the performance of the surgical residents could be assessed. “What we want to do—using this simulation platform—is to bring all the junior residents and senior residents up to the level of the attending surgeon, so that the time is shortened in terms of their learning curve in learning how to look after surgical patients,” Dr. Aggarwal explained. The results of the research suggested that the environment created within Second Life was a remarkably accurate test of a resident’s abilities, with all three scenarios revealing similar levels of competency between the different groups of surgeons (intern, junior and senior), allowing the researchers to identify where skills need to be further refined and enhanced within each group. It is now hoped that further research will see the virtual environment used to more effectively and efficiently train surgical residents from hospitals across London in post-surgical care of patients, allowing them to gain the skills they can take back to their working environments and become even more effective in handling patient management in real clinical situations, thus helping to improve patient safety. “Going through these different steps is not going to teach residents everything they need to know for every patient with bowel obstruction, for example, but it is going to teach them about the majority of patients that he or she is going to look after and it’s going to do it in a much more education-efficient and appropriate manner,” Dr. Aggarwal said. It is also hoped that that simulations can be used as a means of a refresher course, allowing residents to maintain the skills and understanding they gain from the initial training in a more efficient manner than might be achieved through day-to-day activities at their place of work. 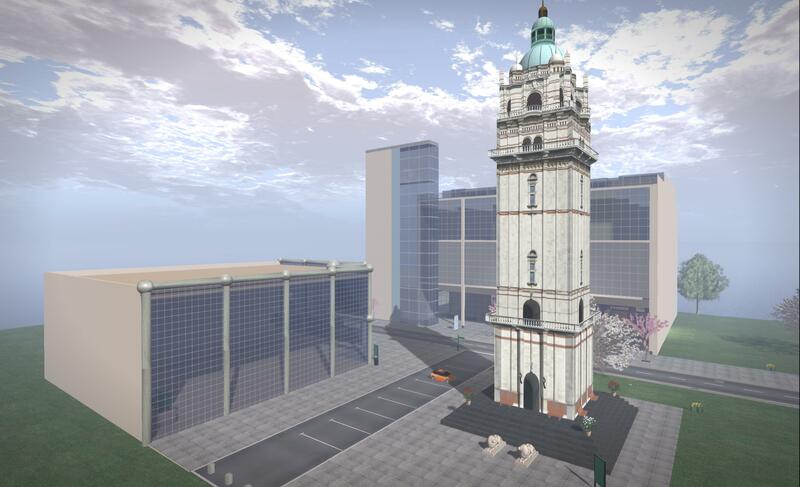 The study doesn’t mark the first time that Imperial College has used Second Life for their research. They have been using the platform for several years, as the following video from a 2008/9 study demonstrates. On July 31st the Google Affiliate Network GAN) closed-down. In terms of Second Life, the significance of this is that Linden Lab offered their own affiliate advertising through GAN. However, all is not lost for those who wish to advertise SL through their websites with the potential to generate modest income as a result of doing so, a fact Ciaran Laval pointed me towards. The Lab has entered into a relationship with Commission Junction (who have themselves been running a programme to capture advertisers and publishers who had been using GAN) to provide a new affiliate service to those wishing to advertise Second Life on their websites. Recently the Lab has been e-mailing those already using the affiliate programme with details on how they can make the switch. For those who have not previously used the affiliate programme and wish to do so for the first time can do so in one of two ways depending on whether or not you already have a publisher account with Commission Junction. If you do not have a publisher account with Commission Junction, you can sign-up using the form linked-to from the Lab’s affiliate programme page. Do note, however that the form represents a contract between you and Commission Junction, not Linden Lab. As such, the Terms of Service displayed as a part of the sign-up process is for Commission Junction (and their associated entities) as well, and therefore should be read through. It would also likely be a good idea to check the Commission Junction website for further background information (details on how the system works for publishers, payout terms, etc.). Once the sign-up form has been submitted, an e-mail will be sent with instructions on how to activate your new Commission Junction account. If you do already have a Commission Junction publisher account, you can apparently add Second Life to your account via the Commission Junction member’s area. Either way, please take the time to read the Lab’s initial FAQ on the affiliate programme page as it includes some important information on the programme – including the fact web sites based in the US states of Arkansas, Connecticut, Illinois, New York, and North Carolina are excluded, presumably for tax liability reasons. As I’m on WordPress.com, this programme is not for me – but if you self-host, and want to add SL advertising to your site, it might be for you. Commission Junction has a large number of advertisers, so there is no reason why you cannot include other suitable ads as well in order to try to increase your opportunities for revenue generation. Apparently, the minimum payout amount is considered high, so as with everything of this nature, mileage is liable to vary as to the return gained through the programme when all factors (traffic, ad selection, etc.) are taken into account.